Click here for the latest information, case searches, and press releases. District Attorney Matt Shirtcliff began as a Deputy District Attorney for Baker County in 1994 after graduating from Gonzaga School of Law. He served as a deputy for six years. He was elected District Attorney in 2001 and is currently in his fourth term. 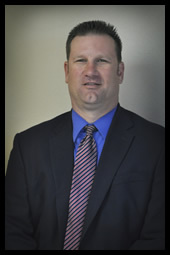 As District Attorney, Shirtcliff works closely with the Baker County Major Crime Team prosecuting major felony crimes. He also coordinates the Baker County Child Abuse Center with local physician Dr. Trisha Eckman and heads up the Baker County Sexual Assault Response Team. In addition, Shirtcliff serves as Juvenile Director for the Baker County Juvenile Department and part time County Counsel to the Baker County Board of Commissioners. Other volunteer positions include: a member of the Oregon District Attorney's Association Executive Committee, board chair for the Saint Alphonsus Hospital in Baker City, a past president and member of the Baker City Rotary Club, a board member and member of the Baker City Church of the Nazarene and leader of the Baker City Young Life Club.